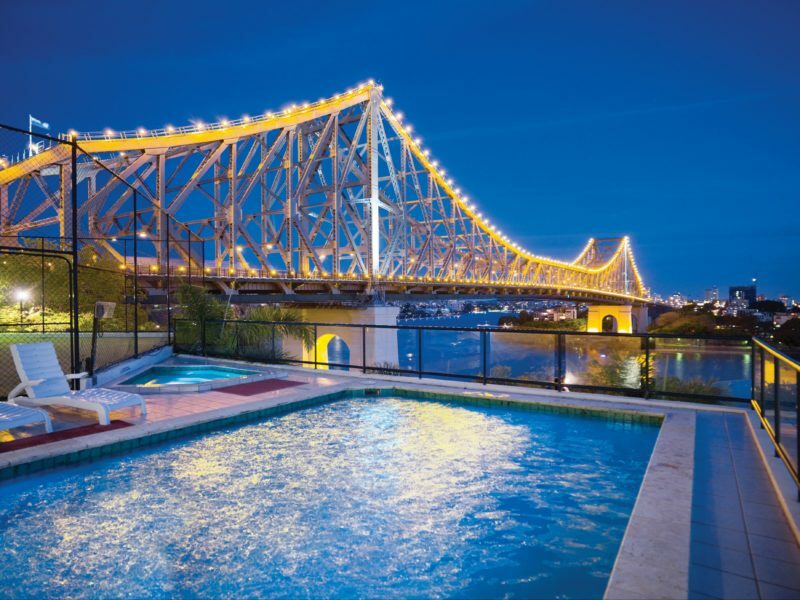 Nestled atop the rejuvenated Howard Smith Wharves on the edge of Brisbane’s Central Business District and Fortitude Valley, just minutes from restaurants, bars and boutiques. 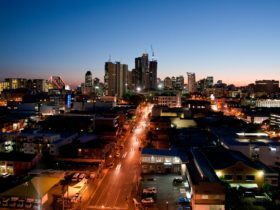 Oakwood Hotel and Apartments Brisbane is perfect no matter the occasion you’re in town. 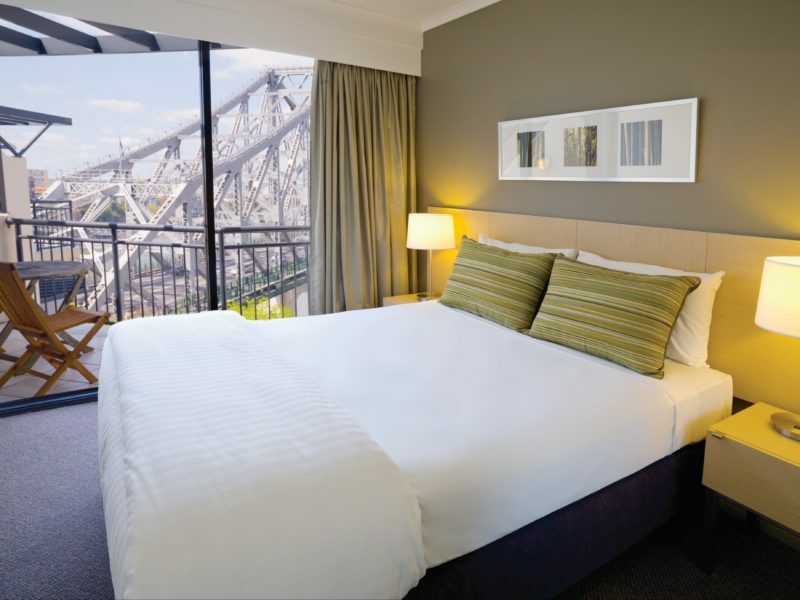 With 24-hour Reception, their 162 room-spacious studio, one and two-bedroom apartments boast spectacular views of the city, Brisbane River and iconic Story Bridge. Work up a sweat on their full-size tennis court or in their gymnasium or sauna. 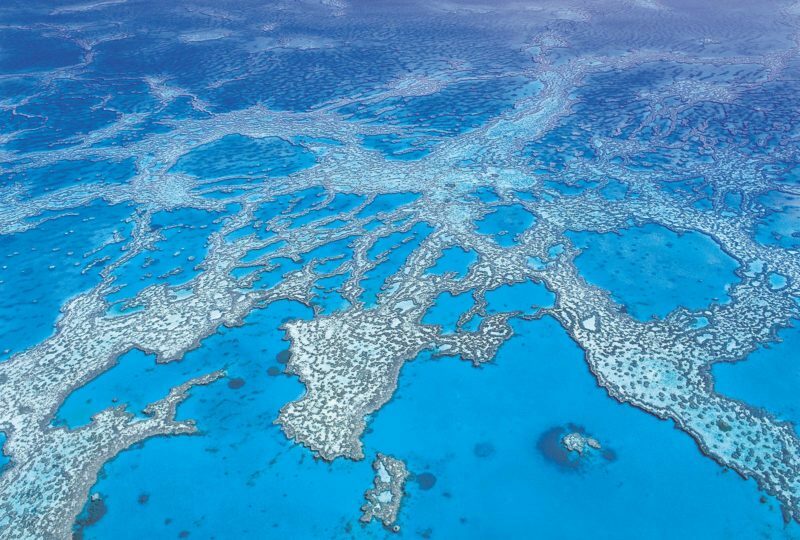 Relax in their outdoor pool and spa. Or simply switch off with their complimentary Wi-Fi and connect to Press Reader which gives you access to over 6000 magazines and newspapers worldwide. 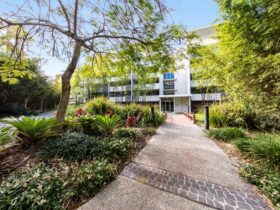 Complimentary to their guests they offer bottled water daily and corporate shuttle drop off to local Central Business District, Fortitude Valley and inner-city offices. 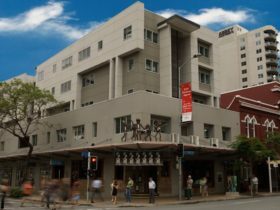 No.15 Restaurant and Bar is open daily for breakfast and dinner with both an al fresco terrace and laneway which complement the split-level restaurant. Choose to dine in the comfort of your apartment where 24 hour in-room dining is available. Their three conference rooms and unique outdoor venue will suit any occasion from a small business lunch or meeting to a grand affair for up to 300 guests. These rooms are 60 square metres in size. One-bedroom apartments are perfect for couples or small groups of two to three travellers on both short and extended stays. Each apartment comes with a full kitchen equipped with crockery and cutlery, dishwasher, stove-top, microwave oven and fridge, plus washer and dryer laundry facilities. The bedroom features an ensuite bathroom with shower or bathtub combination. A separate living or dining area has all the amenities listed above to ensure your every comfort and convenience, whether you’re winding down listening to music on your MP3 player, catching up on news on cable television or simply relaxing with a drink from the mini-bar while admiring the view. Enhance that view to take in the river and Story Bridge by opting for a one-bedroom apartment with Riverview. These rooms are 80 square metres in size. The amenities listed above complete the creature comforts you need to make this a real home away from home. Some apartments are loft-style with the main bedroom downstairs and second bedroom upstairs. 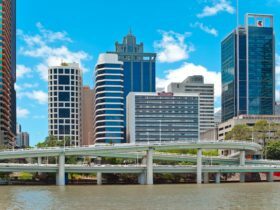 All feature a private balcony offering immersive views of the cityscape, and by opting for a two-bedroom Riverview apartment, the city skyline becomes a captivating backdrop to the meandering Brisbane River. These rooms are 28 square metres in size. Designed for solo business or leisure travellers or couples seeking a weekend getaway, their studio apartments are tastefully appointed with the amenities you need for a comfortable stay. Bedding consists of Queen or twin beds, while the kitchenette provides tea and coffee making facilities and includes bar fridge, sink, microwave oven and mini-bar. 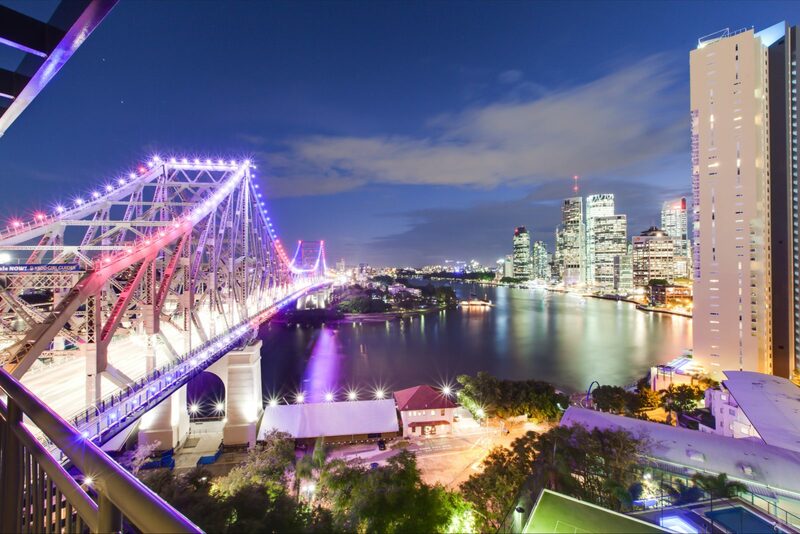 Choose their Riverview option to enjoy stunning views of the Brisbane River and Story Bridge in addition to the magical cityscapes seen from their standard studio apartments. From AUD109 for a Studio, subject to availability. AUD850 based on a Two Bed Riverview on an event night.